Welcome to the annual Champaign-Urbana Schools Guide! This guide focuses on area schools for elementary, middle school and high school students. All Champaign County public school districts are listed. Listings are not recommendations; we offer this list as a community service. 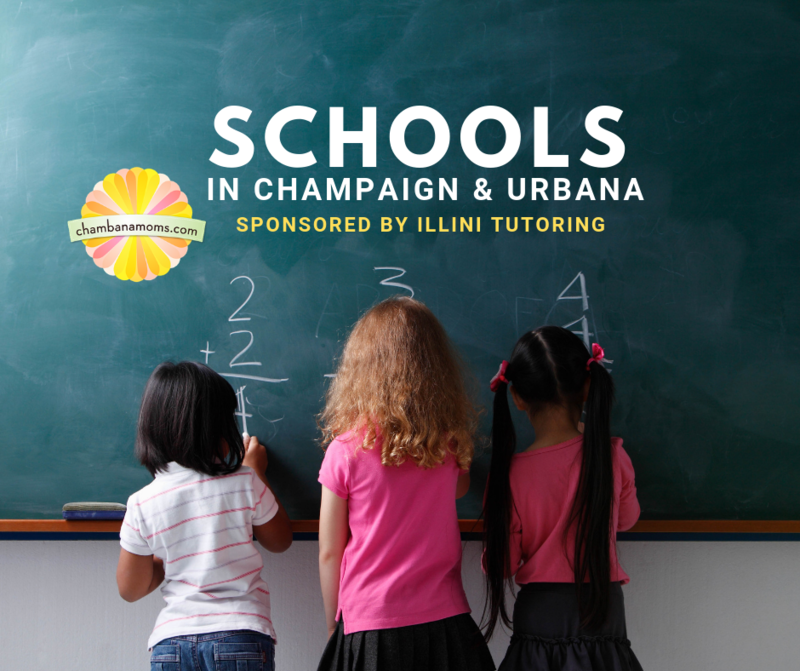 Thanks to Illini Tutoring for sponsoring our Champaign-Urbana Area Schools Guide. Illini Tutoring has been serving students in Champaign-Urbana since 2010! Students trust the certified teachers and tutors to help them excel in their math and science classes. Illini Tutoring also helps students raise their scores on the ACT, SAT, and SSAT. Illini Tutoring is a mom-owned company with a big heart for the community, donating thousands of dollars each year to support our local public schools and other community projects. Visit IlliniTutoring.com today to learn more about academic tutoring, academic coaching, and test prep services. Check out our Preschool Guide for early childhood education options. Featured listings for the 2019 Champaign-Urbana Schools Guide are sponsors of chambanamoms.com. If your school/district is interested in having a featured listing in this guide, please check out this form. Judah Christian School is a private, ACSI accredited, interdenominational Christian school (PreK-12) with a 30-plus-year history in the C-U community. A challenging curriculum, gifted teachers, and engaging classroom atmosphere create a special space that inspires the transforming action of learning to over 500 students ages 3 through high school. The school is a member of the IESA and IHSA and offers outstanding extra-curricular choices, including fabulous fine arts. What makes the school unique: JCS strives to educate students from a Biblical perspective and focuses on teaching children the way God has created them to learn. Further, JCS is a fun and safe place to learn where teachers spend their time teaching the whole child. Classrooms and hallways are controlled, and the genuine family atmosphere truly sets JCS apart. Open House/Informational Meeting Date(s): For additional information or to view a list of open house and tour dates, visit the website at www.judah.org, or contact the director of admissions at (217) 359-1701. What makes the school unique: Founded in 1992, Countryside is the only ISACS-accredited, independent school in the C-U area. It is non-profit. Countryside offers an accelerated, highly engaging, hands-on academic curriculum balanced with fine and performing arts, technology, physical education, and character education. Foreign language instruction in Spanish or Chinese begins in kindergarten for all students. A unique, nontraditional structure features multi-age, team-taught classrooms with low student-teacher ratios. The school’s beautiful 13-acre campus in west Champaign includes a full-size gym and performing arts stage. Financial aid is available. Open House/Informational Meeting Date(s): Elementary Information Night (grades K-5): Thursday, Feb. 7, at 7 p.m. at the school with childcare available for ages 3 and up. Middle School Information Night (grades 6-8): Thursday, March 7, at 7 p.m. at the school. If you miss our Info Nights, call for a personal tour. What makes the school unique: Uni Primary values innovation, creativity, and connectedness across all content areas, with problem-solving and self-directed learning in concert with teacher-guided instruction and activities. Children are viewed as protagonists and collaborators in their learning; at Uni Primary children are active, eager, and competent citizens. The Montessori School of CU has been serving the community since 1962. It is a home away from home for families. 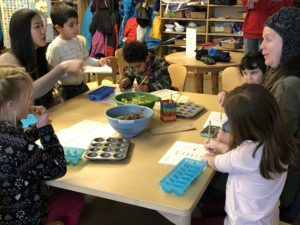 Montessori is a school where students (15 months-12 years) are respected as individuals while being challenged and supported in their growth. Montessori is committed to encouraging life-long learners and positively impacting the world — one child at a time. 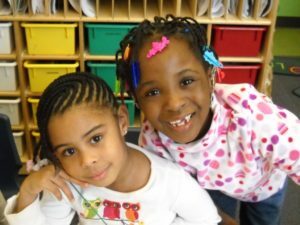 What makes the school unique: The Montessori method is a unique approach which enables children to discover their true potential and develop an organized, engaged, and focused mind. 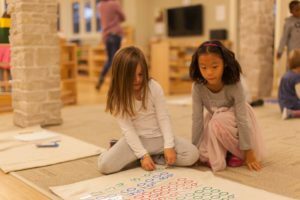 The Montessori experience prepares them to be curious, lifelong learners, as well as good citizens, future innovators, and able leaders. What the director says: What makes MSCU truly unique is our professional, caring, and committed staff whose sole purpose every day is to provide an outstanding educational experience for each child. 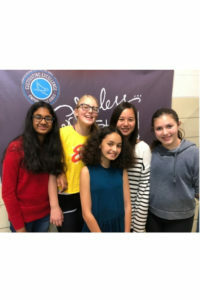 Campus Middle School for Girls has been helping girls succeed since 1994. The mission is: Cultivating Excellence, Empowering Girls. In service to this mission, CMS provides: a challenging curriculum that encourages girls to set high expectations for themselves; small class sizes that allow a high level of student participation and teacher attention; diverse curriculum offerings that allow girls to explore an array of subjects, express themselves creatively, and work toward mastery in a variety of disciplines; a safe and positive social environment that enables adolescent girls to achieve a sense of emotional and physical well-being; community service opportunities that encourage students to become reflective, responsible global citizens; and close ties to the University of Illinois and surrounding community that expose students to working scholars, laboratories, museums, libraries and other resources. 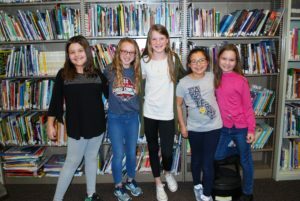 What makes the school unique: CMS is the only single-gender middle school for girls in the Champaign-Urbana area. St. John Lutheran School provides a Christ-centered education for students in preschool through eighth grade. Small class sizes allow teachers to get to know students individually and use this knowledge to meet their academic needs. St. John understands the value of a well-rounded education and provide specialized instruction in art, physical education, and music. Band instruction is offered for students in fourth through eighth grade, as well team sports starting in fifth grade. 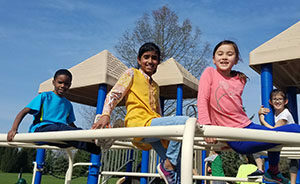 What makes the school unique: St. John Lutheran School’s multi-grade classes (K/1, 2/3, and 4/5) provide many opportunities for children of all learning styles to grow and succeed. The multi-grade structure allows teachers to utilize flexible, interactive groupings and instruction. Middle School students in 6th-8th grade have a homeroom and rotate through their core classes and teachers in order to prepare them for high school. Middle School students are also engaged in service opportunities in the community. Each subject is taught in preschool through eighth grade with a Biblical worldview, and students participate in daily school devotions, weekly chapel, and class Bible instruction. Open House/Informational Meeting Date(s): Community Open House on Tuesday, Feb. 26, from 5-6:30 p.m.
Next Generation School is an independent, private school offering superior educational opportunities in a loving, nurturing environment. A holistic approach to education enables students to realize their fullest potential and become lifelong learners who can successfully navigate the world. What makes the school unique? For nearly three decades they have been guiding students on a journey of discovery while instilling in them the courage of conviction and the tenacity to be outstanding. By celebrating the uniqueness of the individual and uncovering the unlimited potential of each student, Next Generation creates an environment where children thrive and flourish. The atmosphere of the school and academic nature of the program has a profound effect on the lives of students. Because they are continually challenged to think critically and explore limitless possibilities, students are well prepared for the challenges that await them in higher education and beyond. What the director says: Next Generation School dedicates itself to educating the whole child – ensuring his or her academic growth as well as fostering social and emotional development. By providing a multitude of learning experiences in core academics in addition to Physical Education and the Fine and Performing Arts, students grow into accomplished and confident individuals. This richness of experience sets the stage for a lifetime of learning and leadership that Next Generation School is proud to foster. Carle Auditory Oral School (CAOS) is a private school program focused on listening and spoken language development. Originally founded as a school for children with hearing loss, it was quickly discovered that the hands-on, language-rich learning environment has tremendous benefits for children with normal hearing as well. Small class sizes, highly-skilled teachers, thematic lessons and environmental learning give students the edge they need to be successful both in and outside of school. What makes the school unique: At Carle Auditory Oral School, children with hearing loss learn alongside those with normal hearing, creating an ideal environment for developing communication and social skills. Open House Date(s): Please call to schedule a tour. 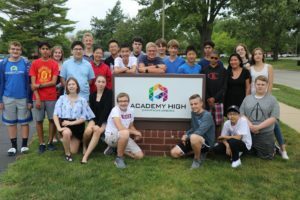 Academy High–an independent, not-for-profit high school–provides students with an engaging, innovative learning environment that will prepare them for the future. Devoted faculty support and engage students to attain their greatest academic and personal achievements. What Makes Your School Unique: Simply stated, our dedication to each and every individual student is paramount. What the Director Says: “We hope that after viewing our website and visiting our school in person, you will begin to see and feel the Academy High difference.” Dr. Darren Pascavage, Head of School. Open House/Informational Meeting Date(s): April 7, 2019 4:30 – 6:00 p.m.
Holy Cross School has been educating young people in the CU community since 1912. The school is known for its academic excellence in a Christian value-centered atmosphere. What Makes Your School Unique: Holy Cross School has a strong history of academic excellence, value-based education, strong fine arts and athletic programs, and a dedication to developing character in our students. Champaign Unit 4 Schools: Champaign, Savoy, Bondville. Info on the Unit 4 Schools of Choice kindergarten registration can be found here. Urbana School District 116: 217-384-3600. Kindergarten registration information can be found here.